Tina Brown has worked in the US for more than two decades, since taking the helm of Vanity Fair in 1984; and she's now attempting to reinvent herself for the internet. But Lady Evans, as the 55-year-old former magazine editor is also entitled to call herself, remains at heart a Brit of an earlier generation, pickled in ink and arch wit. 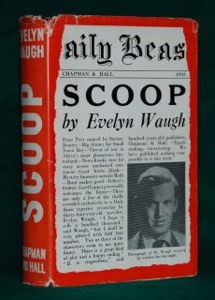 Her forthcoming news site, backed by old patron Barry Diller of IAC, is to be dubbed The Daily Beast, after the shameless tabloid of Evelyn Waugh's 1938 novel Scoop. The Digg kiddies will be so confused. Incidentally, the site's branding was outed by Tina's friend, octogenarian gossip columnist Liz Smith. Having been burned by the backlash against Talk magazine-the glossy backed by Harvey Weinstein which Tina Brown launched with massive hype and one of the most lavish parties in magazine history-Manhattan's "queen of buzz" has been more discreet in the preparation of her first web venture. One assumes that Liz Smith forgot the sneak peek of the website was supposed to be for her eyes only-though Tina Brown can hardly complain about Smith's discretion, having pressured the ancient New York Post gossip writer to come out as a lesbian for an early issue of Talk. No doubt The Daily Beast will invite comparisons to the newspaper of Waugh's novel; already Liz Smith compares the IAC mogul backing Tina Brown to a character in Scoop, proprietor Lord Copper; and there will be easy jokes to make whenever Brown's news site makes an error or hypes a story. But I was reminded more of the scene in Scoop in which the hapless hero goes on an extravagant shopping trip before heading to Africa to cover the war, buying six linen suits, surgical instruments and a portable humidor. 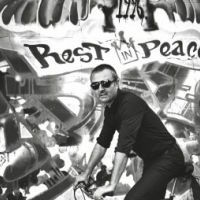 Waugh, himself a foreign correspondent during the Italian invasion of Abyssinia, once said: "There are few pleasures more complete, or to me more rare, than that of shopping extravagantly at someone else's expense." That quote could serve as a statement of editorial principles for the notoriously profligate Tina Brown, who happily doubled writers' contracts to lure them to Vanity Fair and the New Yorker. The Daily Beast has already run through a series of expensive design consultants and employs about half-a-dozen staff its office in IAC's Gehry-designed office palace. During her magazine career, Tina Brown shopped at the expense of Conde Nast's Si Newhouse; reinvented as an internet entrepreneur backed by Barry Diller, she's still spending other people's money.